The Life Care Planning Software is designed especially for Life Care Planners. The Tedious Burden of Math Calculations is done for you by the Software Automatically and Accurately in the Cost Report. The Base, Annual and Total LE Cost is calculated plus your Cost Report you will have Age Table/Yearly Reports and the Software will export the entire Costing to an Excel Spread Sheet. The Excel Spread Sheet can be e-mailed to your Forensic Economists for them to add the present day value on the Plan. The Cost Report will calculate Daily and Periodic needs One Time, First Year, All Years, Specific Years, Date Range and you can even apply Age Groups. You can create your own Database of Suppliers and Providers to draw from for your Life Care Plans. There is a Narrative Report that you can add your Cover Page and Standard Text in seconds buy "Browsing" to your own Files. References can be added also. The Narrative Report will assemble your entire Plan with automatic page numbers. There is a lot of flexibility in the LCP Software so you can Customize Your Life Care Plan the way you want it. 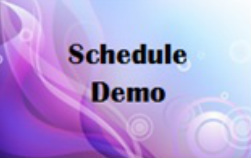 Call for a Demonstration to see all of the Capabilities of our LCP Software. Plus, the Software was written to be very user friendly and Support is always available.